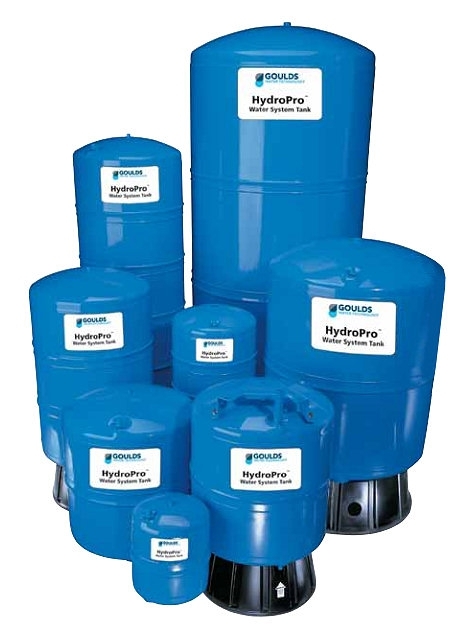 Goulds Water Technology offers a broad line of bladder tanks for residential and FDA grade. The Goulds Hydro-Pro V6P-V350 are designed for home, cottage and farm use. Goulds T Series epoxy coated diaphragm tanks feature deep drawn steel sheets for maximum material strength and an internal shell that prevents diaphragm from over-expanding. 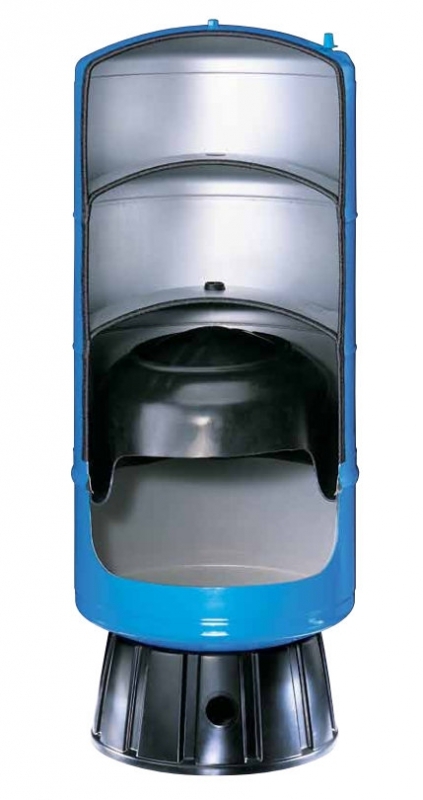 The heavy duty parabolic diaphragm has improved life by reducing abrasive wear. The diaphragm separates air and water to maintain the tank's air charge. The Butyl rubber diaphragm is an FDA approved material and also meets NSF / ANSI 61 - G standards.